I would love to go to Fan Faire this year. I really would. Unfortunately, however, not only did I apparently miss the deadline to purchase the platinum pass, I am also quite busy and will probably remain so for the foreseeable future. Since I won’t be able to go, I can only call upon others to do something in my stead. I need everyone who is planning on going to kneel on chairs. I know that this sounds like a rather weird request, but there is a reason behind it. Everquest II is the game I play, and the game I love. 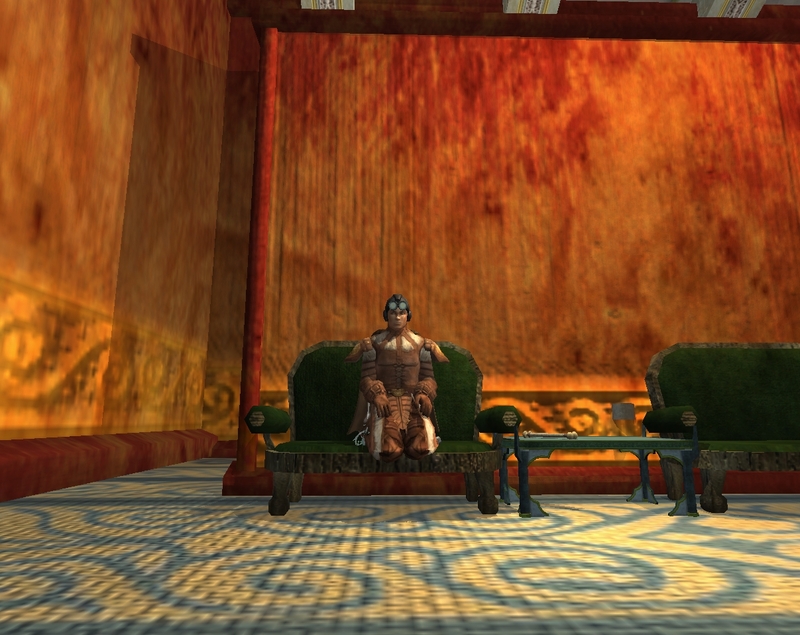 However, even after 6 years since release, they still haven’t figured out a way to make our characters sit down in a chair properly. Your characters, being residents of a completely virtual environment, will not be able to make their voices heard. Therefore, you must represent them to the developers. The quickest, and least likely to get someone booted from the Faire, method to achieve this is to sit the way that your character would. I have a feeling that if the devs see a room full of people kneeling when they should be sitting, they will get the point; even the ones that insist that there is nothing wrong with the way that summoners have been handicapped during the last 3 expansions.